Looking for something new to do while most of the nation’s roller coasters are closed? 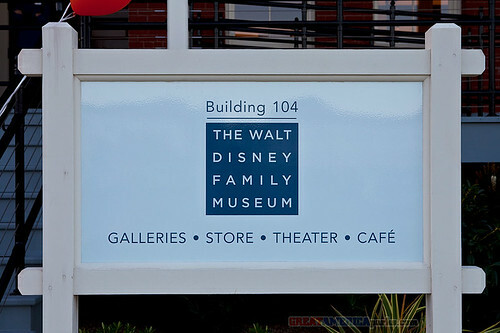 You should check out the new Walt Disney Family Museum in San Francisco’s Presidio. The exterior of a historic Presidio building gives little clue as to what treasures may be found inside. The museum tells the story of Walt Disney’s remarkable life. It’s not an indoor miniature Disneyland. So don’t go there with that expectation. Instead, be prepared to learn the story of Walt’s life, beautifully told in sequence through a series of galleries. You’ll see how Walt got started in the animation of cartoons, including the earliest known sketch of Mickey Mouse. You’ll see how animated cartoons led to Walt Disney feature films and television. Of course, Disneyland and Walt Disney World are covered, within the context of Walt’s life story. And while the museum itself is not an indoor miniature Disneyland, there is a fascinating model of Disneyland that combines past and present elements.